Hurry! Only 27 Spots Remain! 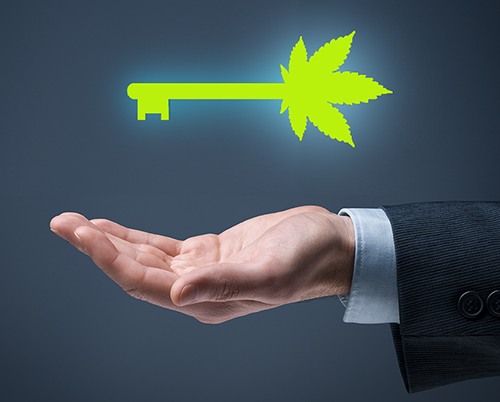 Recently our “Marijuana Master Key” identified two new high-profit marijuana plays. We’re expecting each one to double our money again. They’re the closest thing to a sure bet I can promise you. Since we launched Cabot Marijuana Investor, we’ve doubled our readers’ money four times with our Master Key picks. Not only that, but our readers grabbed 121% gains from our pot picks. In other words, marijuana investors who have been following our recommendations doubled their money on virtually all of our picks—all thanks to our Master Key to Marijuana Profits. Today, I’m going to give you an inside look at our newest recommendations and how you can use this simple tool to amass a fortune in this $50 billion-a-year industry. My name is Tim Lutts. You may not know my name, but there’s a very good chance you’ve heard about my flagship investment advisory, the Cabot Growth Investor. After all, we’ve been publishing it from Salem, Massachusetts, for 48 years. During that time, we’ve not only earned top rankings from the Specialized Information Publishers Association but have also doubled our readers’ money over 200 times. Over the past four decades, our ability to spot high-profit growth companies before Wall Street does has handed our readers many hefty returns. Over the years, we’ve been able to apply this Master Key to large-cap stocks, mid-cap stocks, small-cap stocks, and ADRs with market-beating results. As a result, many in the financial industry consider our Master Key the most scientifically advanced stock-picking system that’s ever been developed. All thanks to our momentum-focused stock-picking approach my father, our founder, Carlton Lutts, created nearly 50 years ago. connecting the dots to the companies that lie in the crossroads. 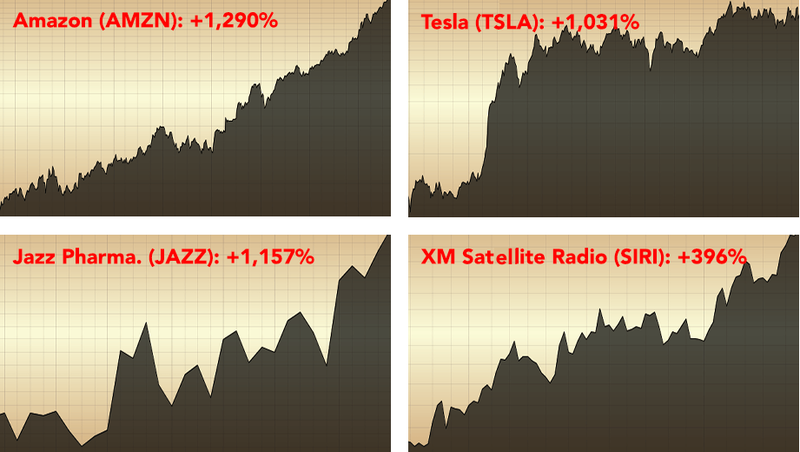 That’s how we’ve been able to identify the fastest-growing stocks across the fastest-growing sectors. We’ve been able to do that before their stock prices take off so you can buy them early. Since we’ve applied our Master Key to marijuana stocks, we’ve made nothing but money there too. Our two newest pot plays possess the same profit profile as our previous winners. That’s why I want you to add them to your holdings right away. But first, there’s a reason why you need to invest in the marijuana sector and why it could hand you life-changing gains in the next five years. I am not the only one that’s saying this. Four top-rated investment banks—including Bank of America, Merrill Lynch and Ackrell Capital—are saying the same thing: The recreational marijuana market could grow to $50 billion by 2026. The shift from illegal to legal marijuana is going to make early investors rich. This chart from Cowen and Company tells the whole story. That’s because these upstarts are going to go from ZERO income to millions virtually overnight as users grow, consumption rises and new upstarts build their brand. This is why our portfolio of marijuana stocks has doubled in 12 months—and will continue to multiply as more and more states legalize weed and even more profits roll in. As I write this, states are racing to legalize marijuana. 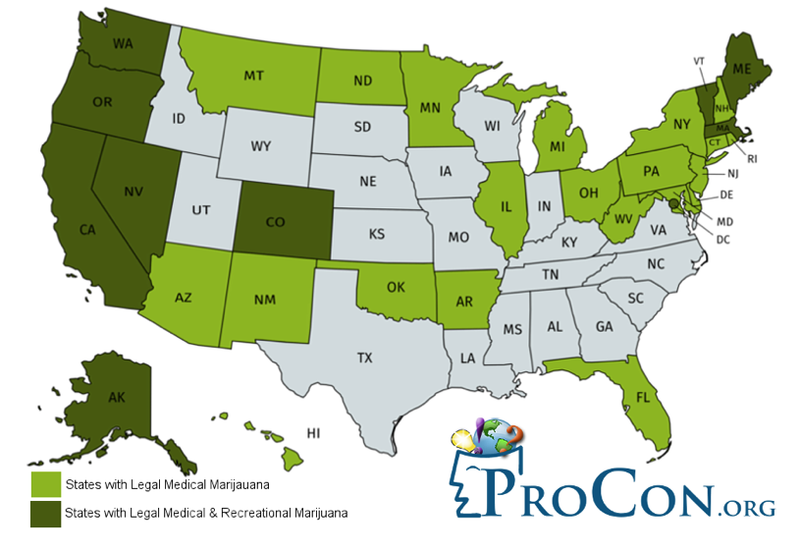 A quick look at the map below will show you the boom in the making as state after state legalizes pot. And in the recent election, two more states legalized medical and one recreational marijuana. The reason is simple: The potential tax revenue is too big and too important to ignore. 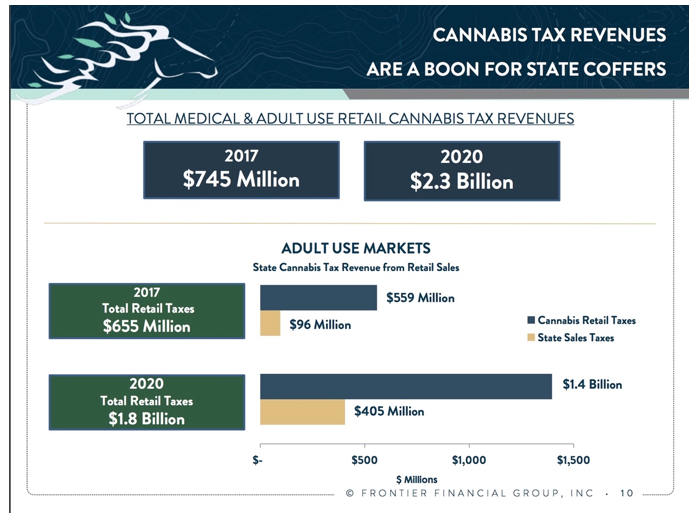 According to Frontier Financial Group, total medical and adult use cannabis tax revenue will exceed $2 billion in the next two years. It’s already an engine for creating jobs as pot shops pop up around the country. According to USA Today, over 120,000 people are already working directly in the nation’s homegrown marijuana industry, tending plants, trimming leaves, and selling cannabis products to eager consumers. That’s nearly three times the number of coal miners in the U.S.! According to Zip Recruiter, the total number of marijuana industry job posts increased by 445% in 2017, compared to an increase of just 18% in the prior year. Our data also shows that the cannabis industry is growing more rapidly than some of today’s fastest-growing fields. Year-over-year growth of job posts in the cannabis industry is outpacing both tech (254% growth) and healthcare (70% growth)—by some reports, there are 14% more legal marijuana workers than there are dental hygienists in the U.S. This explosive growth can be compared directly to the beginning of the tech industry, when Apple and Microsoft were startups—before they grew 37,757% and 112,670%. If you had bought Apple back then and held on to it, every $10,000 invested would be worth $3,775,700 today. The same amount in Microsoft would be worth $11,267,000. Ironically, few people saw the potential in these tech startups in the beginning. But you can do yourself a favor by investing in an industry with similar potential. Just as with the tech industry back in the day, a lot of investors will get burned. Just ask everyone who climbed aboard the Green Cures Botanical Distribution, United Cannabis and OWC Pharmaceutical Research bandwagons. They’ve already lost 99%, 93% and 58%, respectively, from their all-time highs. 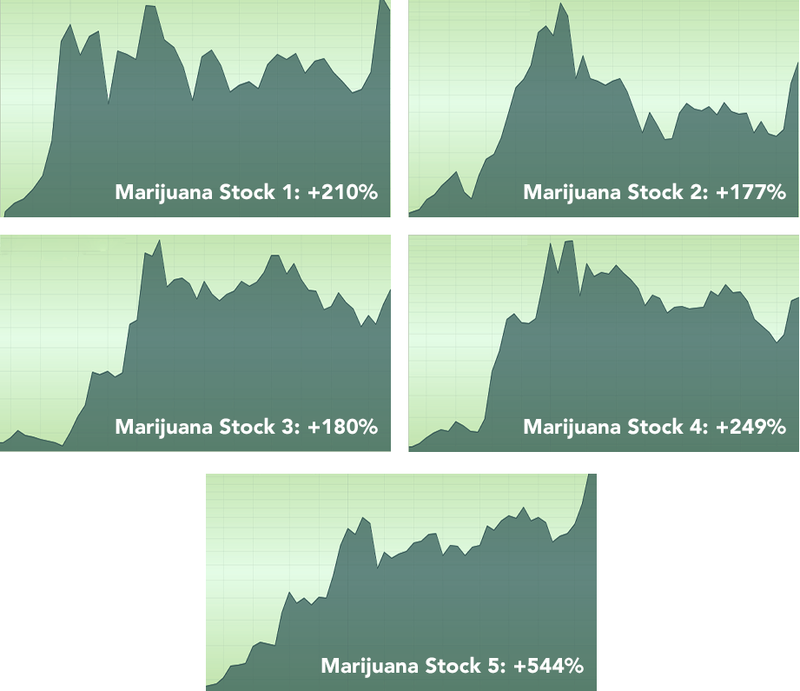 Truth is, the big pot frenzy of the past two years was a lot like the tech revolution of the 1990s. It’s a hot industry with millions of investors throwing money at just about anything marijuana-related to catch a piece of the profits. That’s why a lot of people lost a lot of money over the past two years. They hopped on the wrong pot stocks and got burned. If investors had run these stocks through our Master Key, none of them would ever have purchased those stocks in the first place. All 10 of our proprietary momentum indicators have been mathematically constructed to identify how well a company is growing its market share, how fast its earnings and cash flow are multiplying, and whether the company has the financial wherewithal to maintain a high level of profitability. Just like our large-cap, small-cap, mid-cap and technology picks, for a marijuana startup to qualify for our buy list, it too must rank high across all 10 of our variables. This is why we never owned Green Cures Botanical Distribution, United Cannabis and OWC Pharmaceutical Research—or hundreds like them. Because we could see, beyond doubt, they did not have the earnings, sales, branding, or market share to survive the long term. This is why we’ve doubled our readers’ money four times in less than 12 months, why our average stock gain is 121%, and why our two newest picks are on target to double our readers’ money again in the next 12 months. If you want to make money in marijuana stocks, you have to know what you are buying—and then buy the best. Think farmers like Cargill, Blue Diamond Growers, Driscoll’s and Del Monte Foods—only the companies we’re thinking of grow marijuana. We’re referring to manufacturing companies that produce pipes, papers, vapes, and packaging paraphernalia that serve the industry. Think companies like Budweiser, Hershey’s and Cheerios, whose brand name sets them apart from the rest—only these will be marijuana-branded products. Think pharmaceutical companies like Amgen and Genentech that develop cannabis-based drugs designed to treat everything from arthritis pain to seizures. 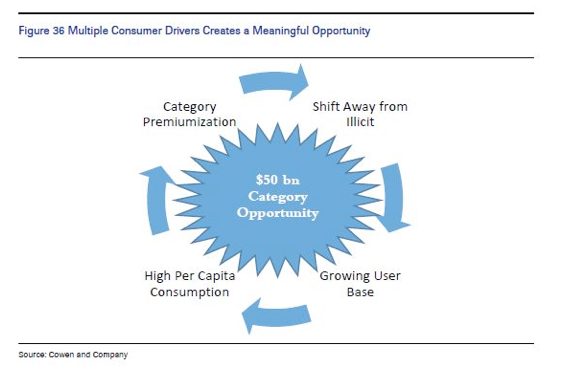 The key to harvesting the biggest profits is pinpointing which companies will become the Amazons and Apples of the industry while avoiding all the Pets.coms. This is how we’ve been able to double our readers’ money four times in the past 12 months while so many early marijuana investors got burned. I’ll introduce you to our newest picks in a moment. The momentum for legalization is growing—and opening up new markets for marijuana sales. Already Oklahoma voted to legalize medical marijuana—making it the 30th state to do so—22 years after California became the first state to legalize medical marijuana. What’s more, early this year, Vermont became the ninth state to legalize recreational marijuana and in the mid-term elections, Michigan became the tenth. And Utah and Missouri just legalized medical marijuana. The momentum continues to grow. Press reports indicate that New Jersey’s legislature may soon legalize pot sales as well, while Connecticut and New York are also considering legalizing pot, and big-name politicians including Bernie Sanders, Cory Booker and Kamala Harris are backing bills to legalize pot. That’s because the Canadian parliament voted to legalize recreational marijuana by more than a two-to-one margin. It marks the beginning of a G-20 group of industrial nations legalizing recreational pot. The impact is starting to be felt around the world. Even Mexico, home of the biggest drug cartels, is considering legalization. Their nationalization allows for something U.S. companies can’t get—financing for growing operations. So unlike U.S. pot cultivators that are mostly cash-run enterprises, Canadian companies not only can raise money from investors but also list their stocks on the stock exchanges. Now that Canada legalized recreational marijuana, you’re going to see billions in investment capital flood the market and push our stocks even higher. So it’s no wonder one of our newest recommendations has jumped 113% year to date. As you’ll read in a moment, that’s just the beginning of the rocket ride that is heading your way. Canadian legislation brings with it the opportunity to legally export pot to other countries. Already more than a dozen countries have legalized medical marijuana. The Czech Republic, Germany, Australia and New Zealand are just a few of the countries that are importing legal pot. According to the Canadian Broadcast Company, a dozen more countries are moving to legalize medical marijuana. As a result, the cannabis industry is poised for big growth in North America and around the world—with analysts forecasting legal pot sales will skyrocket from $9.2 billion to $47 billion in 10 years. That’s a rise of 422%! Fact is, the amount of marijuana sold each year is on track to become even bigger than big data, online retail and ride sharing—think bigger than Lyft and Uber. This is why many of Wall Street’s biggest mutual funds, including Vanguard and Fidelity, have been investing in marijuana stocks hand over fist—all while one of our top plays has been included in the Russell 2000 Index. 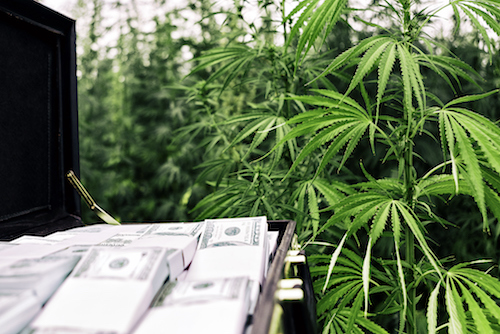 According to data from cannabis advisory firm Viridian Capital Advisors, marijuana businesses raised $4.3 billion through the end of last month. That’s just a drop in the bucket compared to the investment that’s coming your way from Canada. With Canada’s legal pot market now open for business, more investment capital will rush to hop aboard, and we will see sales and earnings in our stocks soar. The bottom line is this: Thanks to the end of pot prohibition, 2019 will be the year Wall Street takes control. And the profits you can make will be enormous. And that brings us to my two newest picks—and the profit opportunity that will send their stock prices into outer space. Their Profits Could Soar 900% or More! Since we launched Cabot Marijuana Investor last year, we’ve doubled our readers’ money four times—with average gains of 121%. Our two new picks are now offering you the same potential—maybe even more. The first is a winner three ways. Not only is this company a (1) marijuana grower, but it also has a line of (2) branded products from which they already profit from in the (3) medical marijuana sector. This grower is on track to produce over 108,000 kilograms of cannabis a year. Now that Canada opened up recreational sales last year on October 17, you’re really going to see the company’s sales, earnings and stock price take off. Already the company produces 3,600 kg of cannabis per year in a 50,000 sq. ft. facility. A new 250,000 sq. ft., state-of-the-art greenhouse will be operational by this summer. And another 1 million sq. ft. greenhouse facility should be completed in December. When these expansions are finished, hold on to your hat—they will have close to 1.3 million square feet of greenhouse and be capable of producing 108,000 kg of cannabis per year. That’s not even half the good news! Wait till Canada opens up the sales of edible products in 2019. You’re really going to see our top company in the sector skyrocket again. That’s because the company has already signed a breakthrough deal with a national brewery to create a line of marijuana-infused products. The opportunities are going to be huge. According to Arcview Market Research, California consumers consumed more than $180 million worth of marijuana-infused food and drinks in 2017. That comes to 10% of the state’s cannabis sales. Fact is, edibles are the next big thing for pot entrepreneurs. 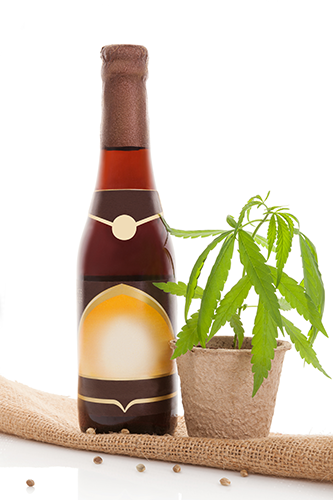 The partnership with a national brewer could be worth more than $30 million a year in cannabis-infused drinks. You need only extrapolate the number of Canadian sales of edibles to see the kind of windfall this will be for the company. When you consider that Canada’s parliamentary budget officer projects annual pot sales to be nearly $6 billion, you can easily see edibles and beverage sales being $600 million. If this company can capture just 5% of that market, you’re looking at a cash infusion of $30 million come 2019! Given the national brand and footprint of this partner, I may be low in my estimate. You could only imagine what a $30 million cash influx could do for the company’s $3 stock price—especially when you consider the company’s current sales are roughly $3 million a year. Of course, I can’t promise this company will jump 900%. But I can say this: I wouldn’t be surprised to see hedge funds begging to pay $6, $10, or even $15 per share for this company in the run up to 2019 when Canada legalizes edible marijuana products. But you have to move fast … now that Canada has legalized recreational pot, investors will be catching on, and you’re going to see this stock start to move. Once it does, mark my words, it’s going to jump, so you need to get in now. But first let me tell you about our second pick and why it’s set to double again in 2019. I suggest you get in that as well. The company is set to become the Big Marijuana of this cannabis industry. When I say BIG, I mean it. The company has interests in marijuana businesses in six U.S. states, encompassing eight cultivation facilities, five processing facilities and 46 potential dispensaries. • In Florida, the company has 200,000 square feet of cultivation facilities—which have been producing since April 2017—and licenses for up to 30 dispensaries. And it plans to open dispensaries in Tampa, Orlando, West Palm Beach and Deerfield Beach over the next year. • In New York, the company has 39,500 square feet of cultivation facilities and four dispensaries scheduled to open between now and the third quarter of 2019. • In Massachusetts (the Colorado of the East), the company has 36,000 square feet of cultivation facilities , a Boston dispensary scheduled to open in this quarter, and locations for two more dispensaries secured. • In Vermont, the company has 6,900 square feet of cultivation facilities and one of only five licenses in the state, with one dispensary open now and another proposed in Colorado, which includes both a cultivation facility in Denver and a dispensary in Breckenridge. 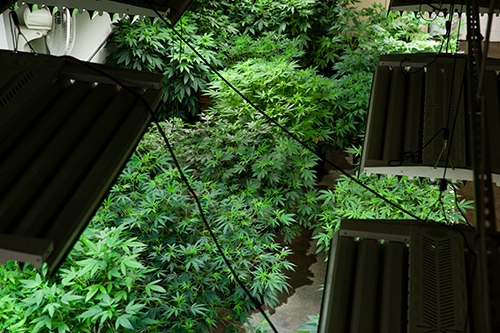 • In Denver the company also has an interest in the Green Solution, with one cultivation facility and 16 dispensaries. • And in New Mexico, the company has an interest in Reynold Greenleaf, a management services company. It is precisely this national footprint that allows you to profit as more and more states legalize recreational marijuana. As a result, the company reminds us of Altria Group, America’s largest tobacco producer and one of six companies referred to as Big Tobacco. Since Altria went public in the 1970s, its stock price has risen 7,209%. A $10,000 stake bought back then and held long term would be worth more than $729,000 now. I see the same profit growth here—especially as we are on the ground floor of the marijuana boom. If last year’s 106% gains are any indication of what’s headed your way, now is not the time to be sitting on your hands. This report is yours absolutely free. All I ask is that you give my Cabot Marijuana Investor a risk-free try. If you’ve never seen Cabot Marijuana Investor, it’s the first and only cannabis advisory that focuses squarely on this $50 billion-a-year industry. Our goal is to get you into marijuana’s breakout leaders—before Wall Street takes notice and before the companies grow into the Apples, Microsoft’s and Netflix’s of the cannabis industry. As a reader, every month I will take you on a tour of North America’s most profitable cannabis companies. I will walk you through their grow houses, manufacturing facilities, retail locations, pharmaceutical products and profit potential. Just as important, I will steer you away from those companies like Green Cures Botanical Distribution, United Cannabis and OWC Pharmaceutical Research whose operations we believe won’t stand the test of time. After all, the only marijuana companies that are worth your money are those that are increasing their market share, revenue and earnings. This is how our readers have doubled their money four times last year and why the average profit on our picks is 121%. That’s why I’m hoping you’ll add our two newest recommendations to your holdings now. Because once the bandwagon buying begins, you could miss their next 100% rise. The Master Key to Marijuana Profits will not only bring you the full story of one of these stocks but also a complete and thorough analysis of the 10 top marijuana stocks we are investing in now. They’re growers, dispensaries, and pharmaceutical and food companies that could become the Amazon, Netflix, and Microsoft of the marijuana industry. 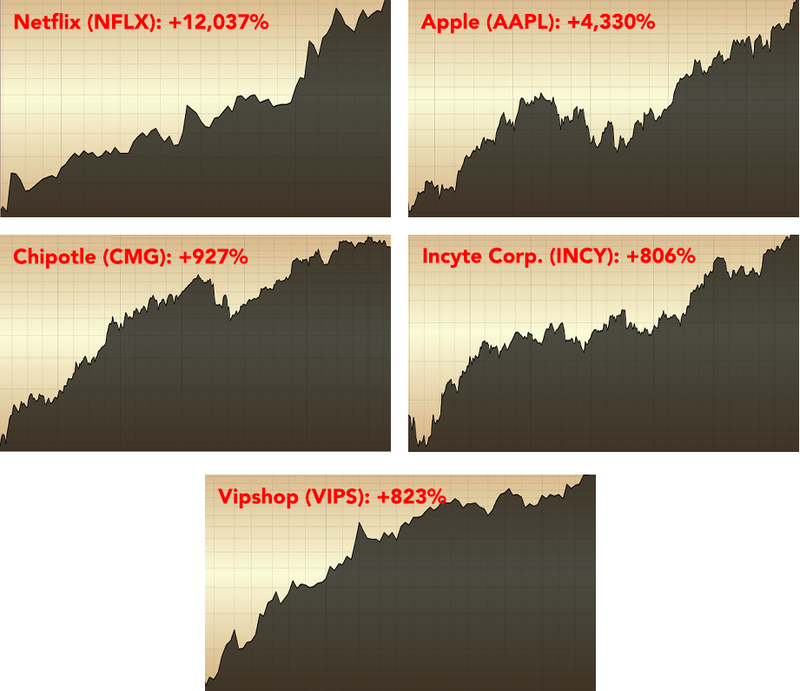 All are companies that are on track to hand you long-term gains of 300% , 500%, 900% or more. Again, the report is yours absolutely free just for giving Cabot Marijuana Investor a try. It’s published by Cabot—Wall Street’s leading investment and research advisory for 48 years. In a world where hundreds of investments advisories come and go each year, Cabot has stood the test of time for nearly five decades. As a result, more than 300,000 investors around the world count on our institutional-level research and independent, unbiased—and, most important of all, profitable—investing advice to help them build their wealth safely and systematically.The secret to our success is simple: We take seriously our responsibility to bring you the best research, analysis and recommendations on the planet. We know you will be investing your life’s savings in our recommendations, and we don’t want to let you down. You’ll gain complete access to Cabot time-tested, Master Key stock-picking approach—the same approach that’s doubled investors’ money 200 times over the past 48 years—applied directly to the marijuana industry.Since we launched this service in August of last year, we’ve already doubled our readers’ money four times while handing investors average gains of 120%. You’ll receive our monthly private briefings. They’re global in scope, full of detailed technical and fundamental analysis. The only way to describe our private briefings is to compare them to the economic forecasts issued by major research firms like Gartner and PricewaterhouseCoopers. 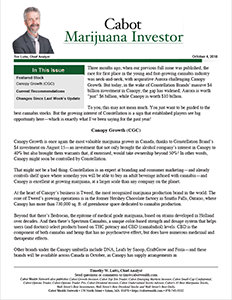 Each issue will bring you institutional-level profit profiles of the companies leading this growing industry and instructions on how to assemble them to add them to your holdings, along with a panoramic overview of recent and upcoming events that will affect your money. If you have already profited from our Cabot Growth Investor, Cabot Small-Cap Confidential, Cabot Top Ten Trader, Cabot Options Trader or Cabot Emerging Markets Investor advisories, then you already know we bring you the highest level of profitable research on Wall Street. If you are new to Cabot, today’s presentation offers you a sneak preview of the kind of complete economic analysis and investment recommendations we’ll bring you when you join us. You’ll receive regular updates and portfolio adjustments. As I regularly remind my readers, in order to beat the market, you must regularly adjust your holdings to make sure the stocks you own not only are in the fastest-rising sectors but also are leading those sectors through increasing sales and earnings. The same can be said when it comes to building a portfolio of marijuana stocks. That’s why you can count on us to send you regular updates, as market conditions can dictate immediate changes to your holdings. You’ll receive complete access to our private website. As a member, you’ll receive 24/7 access to our private website, which features the most recent updates and alerts, your FREE special reports and forecasts, and our archive of our past issues and reports—all fully accessible by you with a click of a mouse. As soon as I receive your RSVP, I’ll send you login information so you can download your FREE reports, read your first issue, and add our two newest picks to your holdings before they breakout. You’ll have our investor relations department at hand to answer all your questions. We know how important it is to make the right decisions with your money. That’s why we have brought aboard new full-time customer service representatives committed solely to Cabot Marijuana Investor.If you have any questions concerning our recommendations or portfolio adjustments, they will be here to take your calls from 9 a.m. to 5 p.m. Eastern time every day the market is open.Of course, just as with our other publications, you can always write me personally and get a written response within 48 hours. It’s all part of the special attention you will receive that comes with your membership. With our 100% satisfaction guarantee, you won’t risk a dime. For more than four decades, the Cabot organization has earned not only the trust of the professional investment community but that of its readers as well. Frankly, we wouldn’t have been around this long if we didn’t deliver quality research, analysis, and, most important, results.If you ever feel that Cabot Marijuana Investor is not delivering on this promise, just let us know and we will send you a no-questions-asked 100% refund at any time during your 30-day free trial. The moment you agree to give us a try, you’ll get immediate access to the special report, The Master Key to Marijuana Profits, which will give you the full details on the two pot plays I’ve told you about so far. They’re just the beginning of the financial windfall that is headed your way. That’s why we launched Cabot Marijuana Investor 15 months ago and why I’ve made it possible for you to get in on the ground floor of these opportunities without risk. The big money is being made now. I’ve made it so easy, convenient, inexpensive and risk-free to profit from this boom that there is nothing to stand in your way. 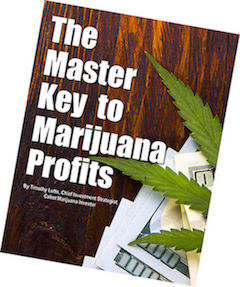 In the bargain, you’ll receive a free copy of The Master Key to Marijuana Profits. Then every month, I will send you my newest private briefing, featuring new opportunities that have been handpicked using our time-proven Master Key. Every week, I’ll send you updates on all of our positions, along with up-to-the-minute intelligence that will affect our investments. Any time new developments affect our holdings, I’ll send you a special email or text message outlining our strategy and the specific actions we want you to take. If you have read this far, you can tell that Cabot Marijuana Investor is a different kind of service—one that not only focuses squarely on this $50 billion-a-year industry but also brings you institutional-level research that’s doubled readers’ money more than four times since we started publishing it 15 months ago—with average gains of 121% per recommendation. I don’t want you to miss out. That’s why we have decided to keep the Cabot Marijuana Investor at the lowest cost possible. That’s been our goal here at Cabot for the past 48 years: to help you and every other American achieve their financial dreams and live richer than they ever imagined—at a price all can afford. Which is why we charge only a shockingly low $397 for a one-year membership. That comes to just $1.09 a day and a fraction of what you’d pay for your daily Starbucks. However, if you are one of the 27 people who respond today, you will be able to join us for just $39.97 a month and lock in the low price for as long as you’re a reader. With our 100% money-back guarantee, that’s quite a bargain, considering you can cancel at any time during the next 30 days and get all your money back while locking in our lowest price now. And no matter what you decide, you keep your free copy of The Master Key to Marijuana Profits. Naturally, I couldn’t offer you such a strong guarantee if I didn’t believe that Cabot Marijuana Investor will deliver as promised. Considering that we’ve already doubled our readers’ money four times over the past 12 months and we’re just getting started, I know you won’t be disappointed. When you add everything up, there’s no way you can lose. Marijuana is going to become a $50 billion-a-year industry with or without you. Cabot Marijuana Investor will show you how you can get in front of the tidal wave of investment. I just can’t make it any easier, more convenient, more affordable, or more risk-free for you to try Cabot Marijuana Investor. Just click the button below to lock in your savings and secure your spot before all the spaces are taken.